In this Stockbit review we show why it is a scam. It is presented by Noah Hastings and Daniel Watanabe. Watanabe allegedly created a binary options trading software called Stockbit that generates 90 million dollars of profits per year. 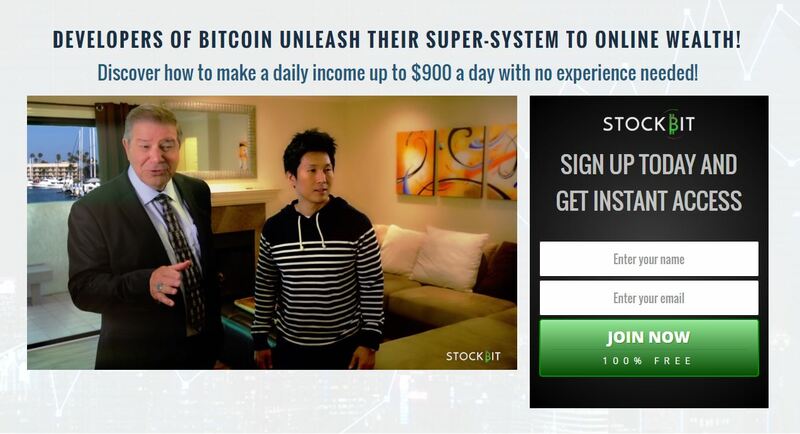 This software can allegedly make you $900 daily with no experience needed. 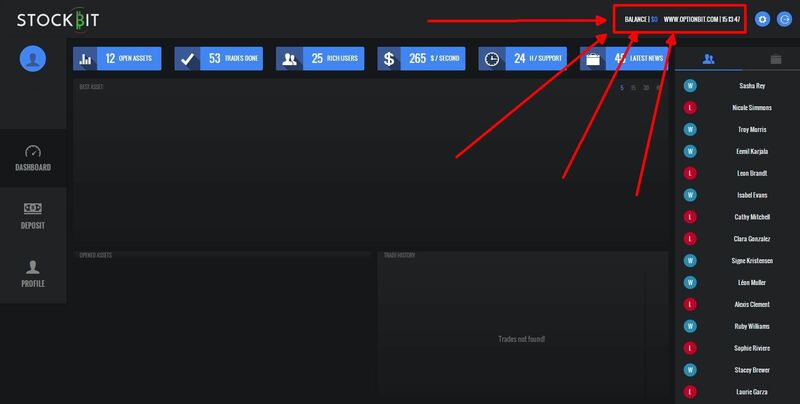 And of course money is free nowadays, so you can get access to Stockbit for free. 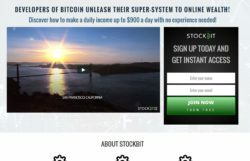 Stockbit is just a scam designed to make you lose money in binary options trading with a software that cannot trade profitably. This is perhaps the funniest part of the Stockbit scam. The presentation claims that Watanabe is one of the faces behind Satoshi Nakamoto – the creator of Bitcoin. But the identity of Nakamoto remains unknown to this day and a lot of scammers try to usurp his identity. Watanabe is obviously one of them. The truth is that Watanabe and Hastings from the Stockbit video are just paid actors, they know nothing about binary options trading. Testimonials, or rather press reviews are the only thing that is supposed to convince you that Stockbit is the real deal. But it is very easy to prove that they are fake. 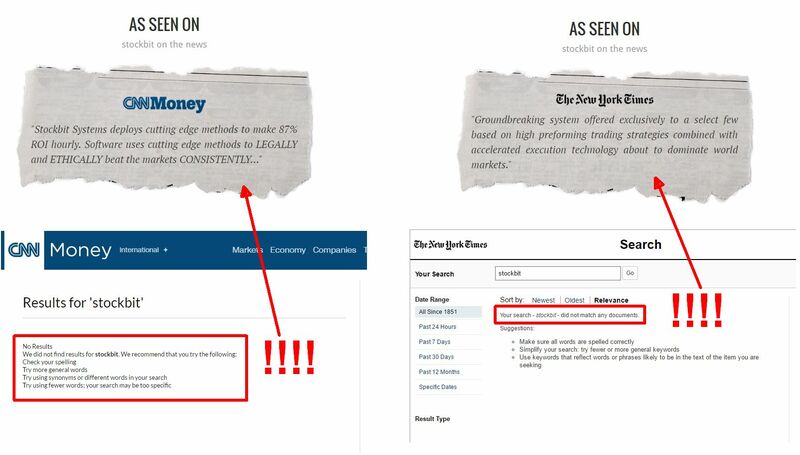 Look at the picture, CNN Money and The Wall Street Journal have never published a single word about Stockbit. Watanabe claims that Stockbit can give you a 7 % return on your capital daily, which means more than 400 % per month with the compounding effect. A free software can do this when world’s best hedge funds generate 20 to 30 % per year? Think of it. Do you really believe there is free money? When you sign up for Stockbit, the first thing you will have to do is to deposit money with a binary options broker that you cannot choose. Why? Because people who created Stockbit get paid by this broker for referring new depositing clients. This is the only purpose of this scam. The story and the software are here just to make you deposit so that scammers earn their affiliate commission. The Stockbit app will then lose your deposit because it cannot trade profitably. End of a sad story. 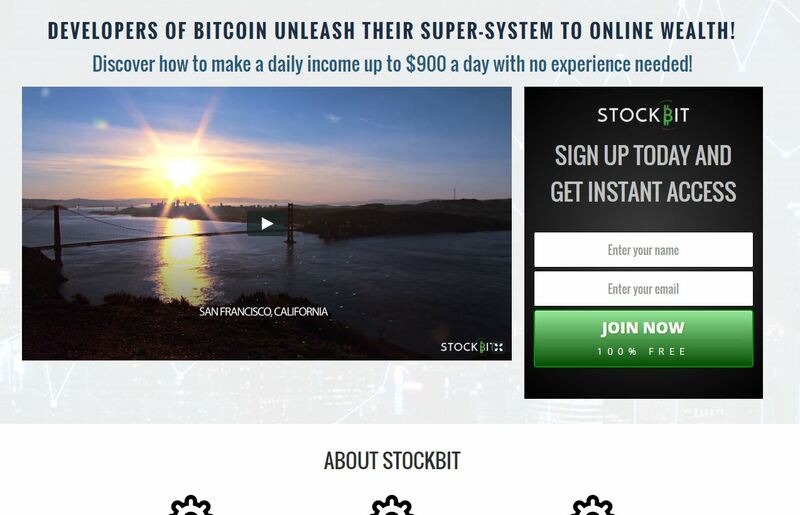 Stockbit is a very simple scam that abuses binary options to make you lose money, so stay away from it. You can make money with binary options only if you learn how to trade and build a profitable strategy. You can try and do that on a free demo account. And never trust anybody who is promising you free money but asks you to first deposit. What is your take on this site: hiroseuk.com‎ It is promoted vigorously. Hi Charles, Hirose is originally a Japanese broker, Hirose UK is obviously a British office. It is regulated in the UK. I personally find weird their trading platform, but other than that no feedback from other traders so far. I guess Hirose is OK as a broker.